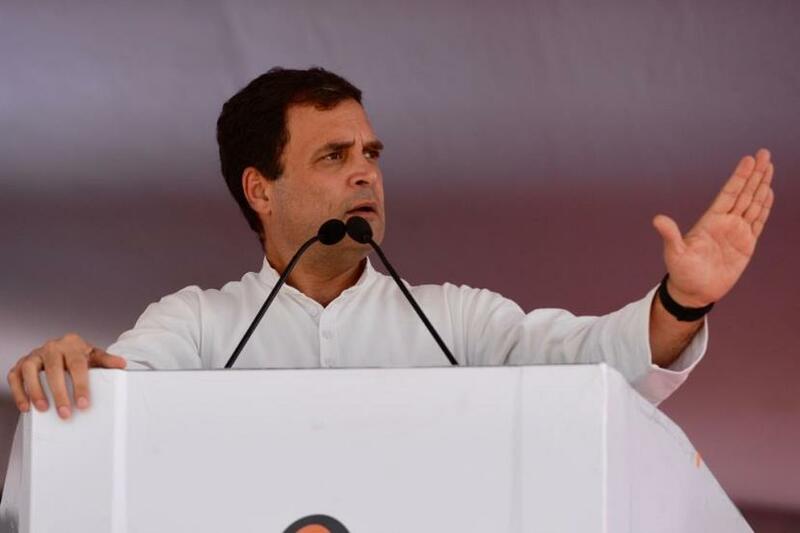 KALABURAGI: Reiterating his promise of minimum basic income, Congress president Rahul Gandhi announced on Monday that if voted to power his party will deposit money directly into the bank accounts of poor. He further hit out at Prime Minister saying, the latter wants to end the ideals of the constitution in the same way he ended Rs 500 and Rs 1000 denominations. "Wherever Modi goes, he spreads hatred and communal disharmony. Dalits are beaten and exploited. His main goal is to end the ideals of the constitution. We will never let him do that," Rahul alleged emphasizing that Congress will not let anyone to that. Modi wants to end the ideals of the constitution in the same way he ended Rs 500 and Rs 1000 denominations," he said. Rahul also cornered the BJP government over GST implementation and said, "If we come to power, five taxes will not be there. There will be only one tax. The system will be ordinary. We will change GST and will not let small shopkeepers and small businesses suffer any loss in the future." Taking a jibe at PM Modi and BJP leaders for using 'Chowkidar' as prefix in their names, Rahul said, "Chowkidar was caught red-handed. As soon as he was caught, chowkidar says whole country is chowkidar. Before he was caught, the whole country was not chowkidar but only Narendra Modi.